The leather is a natural and fantastic material that we use a lot. Being used in different applications of our daily life, leather expresses luxury and class of the user. Starting from our shoes, we use leather in our furniture, bags and luggage, portable bags, clothing, tools, sports equipment, car seats, etc. So, we can see that leather is used as the primary or secondary component of many things that we use in our day to day life. 1 Why is Leather Cleaner Important? 2 What is Lexol Leather Cleaner? Why is Leather Cleaner Important? As we use those things in our daily life, the leather remains exposed to the dust, dirt, heat, humidity, and strokes. Because of that, it starts losing the beauty and elegance after a few days of buying. To make it long lasting, you need to take proper care of it. Otherwise, the material of showing luxury and glamor won’t express exactly those things. That’s why you need something that’ll help you to take care of the leather. Don’t worry. You won’t have to search much. You’ll find a number of leather cleaners in the market. The cleaners come with a formula that allows those to keep the leather clean. As a result, you can use your leather-made essentials for a long time. That’s why we have made a trusted Lexol leather cleaner review for you. 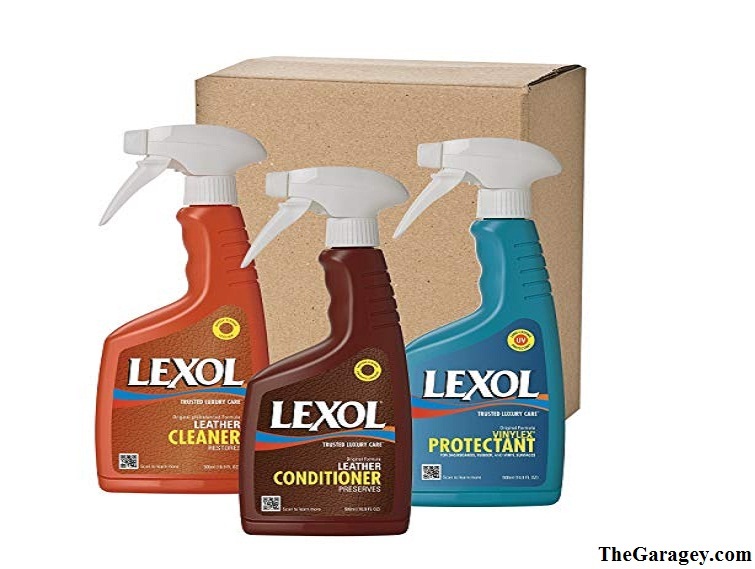 What is Lexol Leather Cleaner? Among the leather cleaners available in the market, Lexol Leather car kit is one of those which ensure the best quality. Coming from Lexol, this cleaner is effective, efficient and easy to use. This is a natural product, so using a Lexol cleaner will keep you tension free. Comparing to the harsh chemical-based cleaners, Lexol cleans the dirt, oil, stain, and tough mark more effectively. So, this can be a good choice to keep leather clean. Natural: This Cleaner is made of natural materials. As a result, it doesn’t work like other harsh cleaning chemicals. Harsh cleaners make the leather dry. It makes the leather surface harden. So, if you use harsh cleaners regularly, the leather surface gets cracks on it. But the natural Lexol leather cleaner doesn’t contain any harsh material that causes the leather to be dry. Instead of making dry, it allows the leather to retain its softness. As a result, it can keep its natural look for a long time. Super Cleaning Capability: The capability of leather cleaners decreases because of a few materials in those. For example- some cleaners come with a little wax or oil which decreases the cleaning ability. Lexol cleaner is free from the materials that reduce the ability of it. It is made of the materials that ensure improvement in quality. As a result, it offers the best cleaning capability that you can expect. pH balanced: From Lexol, you get this pH balanced leather cleaner to ensure the best performance. It is prepared in a pH balanced formula so that it maintains the pH of the leather. The total manufacturing process undergoes careful supervision to make sure that you get the product produced following the exact formula. As a result, when you apply the cleaner, it doesn’t affect the pH of the leather. Besides, it also ensures the safety of the stitching and other fiber materials that hold the leather in its position. Foaming Action: Lexol leather cleaner comes with special foaming action that creates bubbles when applied. It goes into the toughest stains and dirt and loosens those carefully and calmly. Thus when you wipe it out, it takes away the tough stains and leaves a clean and clear leather surface. Because of the foaming action, the leather surface remains soft instead of being dry and tough. No residue: The calm action of Lexol leaves no residue after wiping it up from the leather. Most of the leather cleaners leave a mark that clearly shows that you have used a cleaner to clean it. This also hampers the gorgeous look of the leather. 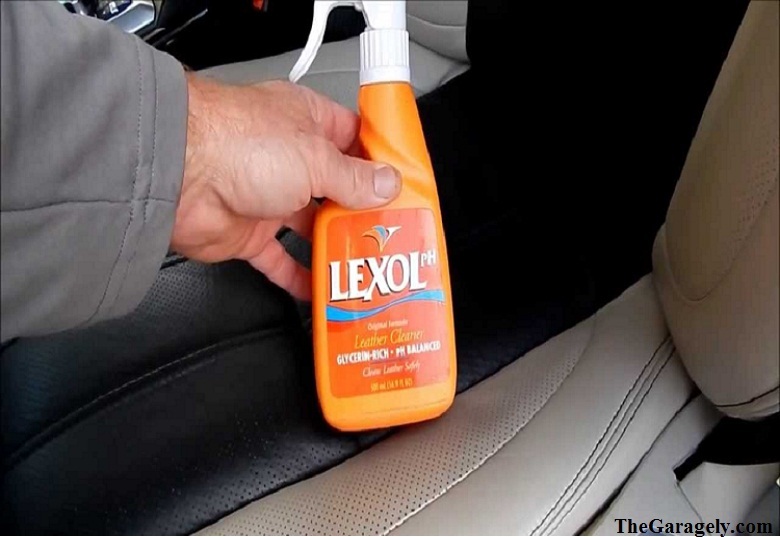 As the leather surface gets no residue after using Lexol, it remains free from a new stain. It looks as gorgeous as it was when it was new. Calm Scent: When most of the leather cleaners come with an annoying scent, Lexol owns a calm odor. The strong annoying odor of leather cleaners come from the chemicals used to produce those. As Lexol is made of natural materials, the strong annoyingly strong scent is absent in it. It comes with a clam odor that leaves the leather quickly. As a result, you’ll feel much comfort using Lexol. Besides being pH balanced, it comes with a glycerin-rich formula that keeps the leather soft and gives a glossy look. It gently removes the stains and dirt by digging into those. As a result, it keeps no stain left on the surface of the leather. Besides, it leaves no extra mark or residue too. If you don’t apply Lexol Leather Conditioner after applying the cleaner, you may not get the expected result. 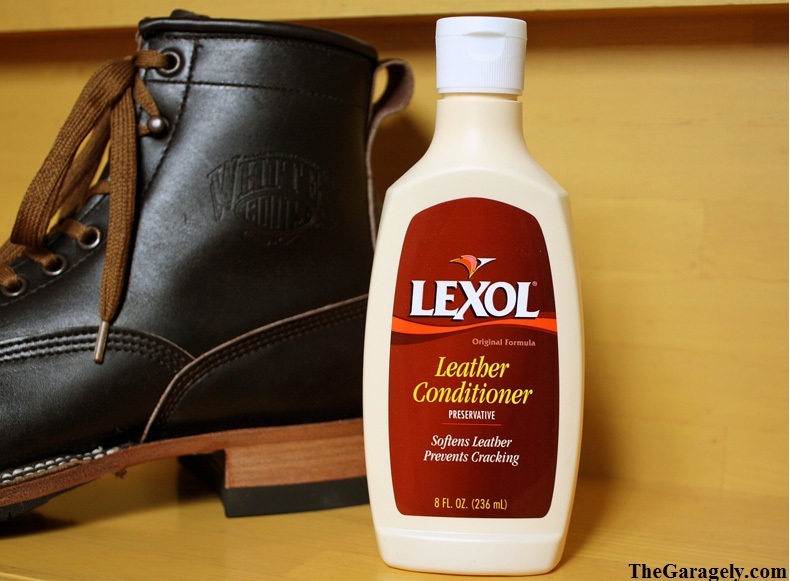 Overall, the Lexol leather cleaner is a great performer when the task is leather cleaning. Using Lexol leather cleaner is not a tough task. It comes in a spray bottle and you don’t need to mix water with it. So, your task is easy. The Lexol cleaner comes with a concentrated formula. That’s why you don’t need to let it stay for minutes. To apply, spray some of this liquid on a towel and rub it on the leather surface. At the time of rubbing, you’ll see that foam is being built-up. After finishing rubbing the whole surface, leave it for a few seconds. After that, use another clean and a bit wet towel to wipe out the applied cleaner and wait till dry. Thus you can use this cleaner to clean leather surface. It works well when Lexol leather conditioner is used with it. So, after wiping out the cleaner from the surface, you can apply the conditioner. For this, spray some conditioner on a dry towel, rub the whole surface gently, keep it for two minutes and wipe out. If you ask, I’ll say that Lexol Leather Cleaner is a nice and effective cleaner that can assist you to keep the leather surfaces clean. Though it has some unpleasant odor that you may not like, it works great. The odor goes away real quick, so it won’t be a big deal. If you want, try it.